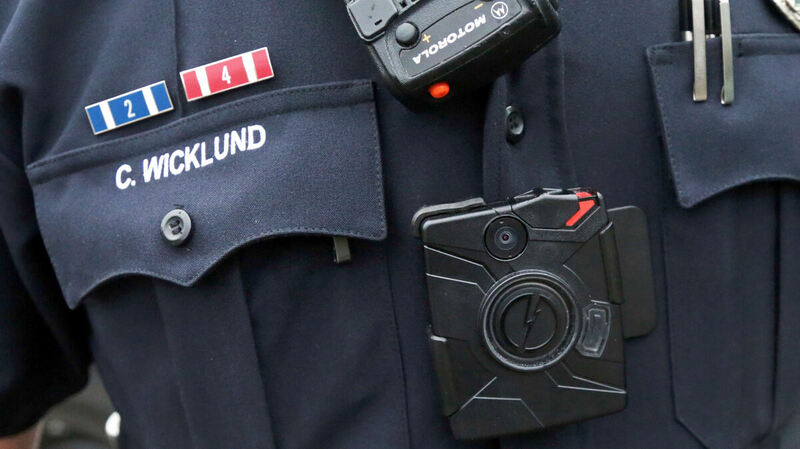 After Ferguson, Police Body Cameras Catching On The Columbia, Mo., police department gave its officers body cameras in July, saying they could help exonerate officers from claims of abuse of force. After Ferguson, the demand for cameras surged. Few police departments have required officers to wear body cameras, but that's changing after the events in Ferguson, Mo., this summer. While Dawkins didn't need his camera for this process, he's glad he has one. Especially after what happened in Ferguson, Mo., about an hour and a half away. When Officer Darren Wilson shot and killed 18-year-old Michael Brown in August, he was not wearing a body camera to record the incident. "Unfortunately that officer in Ferguson did not have a body camera, or we might not be having this conversation," Dawkins says. "We might not have had all the mayhem that's happened in Ferguson if he had been wearing a body camera." Sixteen days before the Ferguson shooting, Columbia's police department announced it was equipping all of its officers with body cameras made by Taser International. The cost was about $130,000 up front for hardware and software, and then $40,000 every year after that for digital storage. Assistant Chief John Gordon says that while that's a lot of money, with a smaller force it's feasible. "That's also for 100 officers," he says. "Well, St. Louis County, St. Louis city, I don't know how many officers those [have], but I mean that's huge. A huge investment." In its first earnings report since Ferguson, Taser International said bookings for camera and digital evidence storage nearly tripled from the same period last year. And Gordon worries that the attention generated by events in Ferguson may force other departments to make some difficult tradeoffs. "Our fundamentals is to provide services to our taxpayers," Gordon says. "Our fundamentals is to protect our officers and our employees. And another one of our fundamentals is to make sure that we have a good trained staff, and those things should never be sacrificed for technology." But more attention is a good thing for Dan Behrendt, chief financial officer at Taser International, the dominant player in the officer body camera market. "It's a really exciting time for Taser and certainly all the momentum we're seeing in our wearable camera business is fun to talk about," Behrendt says. 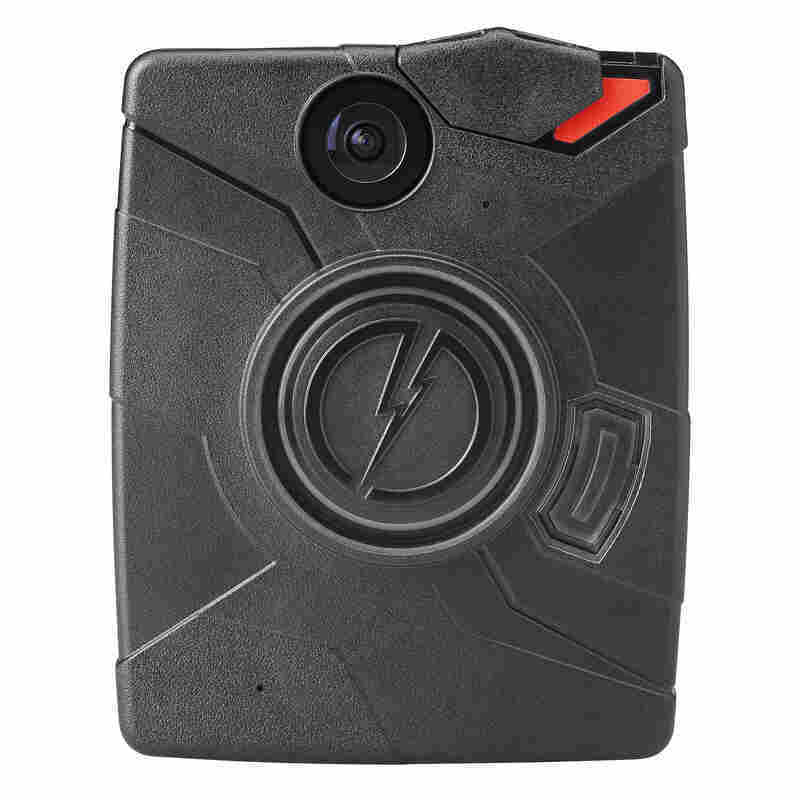 In its first earnings report since Ferguson, Taser said bookings for camera and digital evidence storage nearly tripled from the same period last year. Post-Ferguson, Behrendt says the number of agencies seeking out Taser cameras, something he calls inbound activity, is surging. "The two weeks after Ferguson we saw about a [tenfold] increase in inbound activity and that sort of sustained at about [double] what the previous level was," he says. Steve Dyer, an analyst at Craig-Hallum Capital in Minneapolis, says with about 1 million sworn police officers in the U.S., there are lots of sales opportunities. "It's a bit of a land grab, and by that I mean that I think a lot of these deals, you know, will happen, will be won in the next 12 to 18 months," Dyer says. Dyer says Taser is positioned well to expand quickly to match demand, in part because it already sells police departments the weapons that share its name. The new demand is also luring others into the market. Gordon, the assistant chief, says in just the past few months, he's seen new companies introducing competing technology. "We're on a 3-year contract with Taser," he says. "But in 2 to 2 1/2 years, we're going to start seeing what technology is out there." And when the time comes to renew their contract, Gordon is hopeful that the new generation of cameras will be much cheaper.